Duster Pocket Cardigan Just $16.99! Down From $50! Shipped! 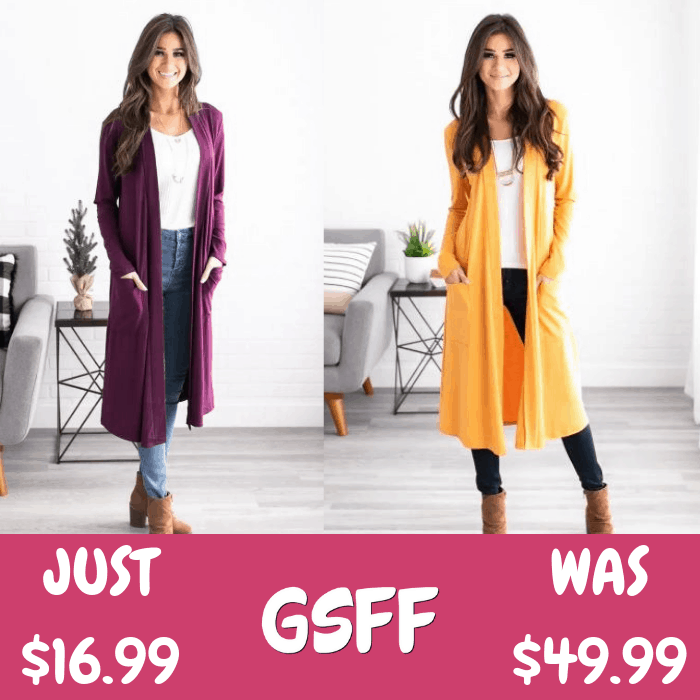 You are here: Home / Great Deals / Duster Pocket Cardigan Just $16.99! Down From $50! Shipped! This deal expires on January 30! Jane is offering this Duster Pocket Cardigan for only $16.99 down from $49.99 PLUS FREE shipping! Sophisticated and comfortable, this Duster Pocket Cardigan is the best of both worlds! With a loose flowy fit, long length, chic understated colors, and of course, pockets, what’s not to love? This duster is made from super soft fabric and is lightly cuffed on the hem.